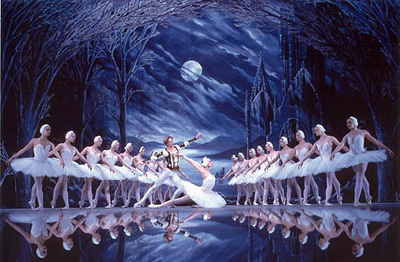 For its 2015 international tour, the St Petersburg Ballet Theatre brought Swan Lake to the London Coliseum, decidedly raising the bar for future performances of this romantic classic tale. In true Russian style, the ballerinas and ballerinos – the corps de ballet – dazzled the audience on stage with their majestic costumes, re-echoing the sumptuous imperial courts of Russia, with an equally formidable array of scenery. In fact, the various scenery – from the courts to the mystical (and now alsmot proverbial) lake were a highlight of the performance, filling the theatre with an air of enigma and passion. The choreography was intricate, well-synchronised and further enhanced by the regal costumes that were exhibited by the dancers. Whilst the corps of dancers held their weight, emphasis tended to focus on Odette/Odile at times almost sycophantically – whilst it is true that Kolesnikova was the main attraction for many and a brilliant force in her own right, we felt that the weight of performance could have been more evenly distributed. True to Tchaikovsky’s musical passion, with bouts of scenes in minor scales, Irina Kolesnikova’s spectacular performance embodied the famous Russian spirit, combining both fragility and strength in a paradoxical and enchanting manner. A series of remarkable fouetté en tournant by Odette (Irina Kolesnikova) showed her agility, taking her performance to the limits of ballet, with her technical virtuosity. Indeed, it was so impressive, it dares – or perhaps inspires – you to try it yourself. Supported by Odette’s lover, pirouettes abounded in the various pas de deux played between her and Prince Siegfried (Denis Rodkin). Rodkin’s performance was admirable, with his regal character convincing, and an excellent aide to Kolesnikova’s role. To counter the melancholic romance we must mention the court jester whose fouetté en tournant and remarkable vivacity enchanted the audience, setting off peals of laughter! Special mention also goes to The St Petersburg Ballet Orchestra whose performance of Tchaikovsky’s score was fantastical and truly magical. 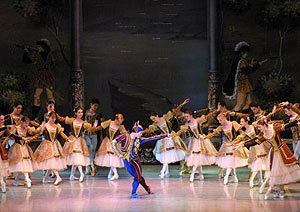 A truly mesmerising performance, the performance St. Petersburg Ballet is one you do not want to miss.